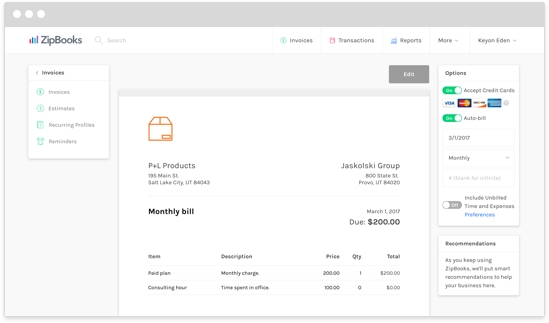 ZipBooks offers the best commercial invoice template, and gives you a high-quality, free software to accompany it. 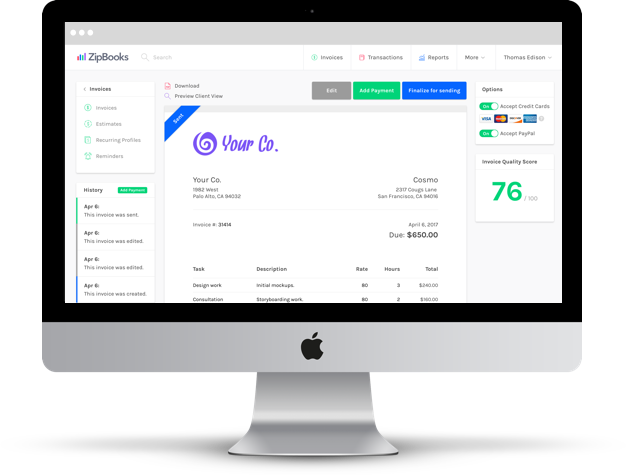 Enjoy the professional way ZipBooks invoices present your company, and enjoy the time you save when you store your information in one place online. 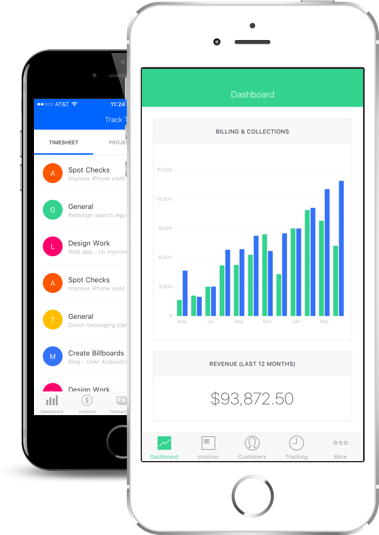 Once you’ve signed up, you’ll immediately notice that this free cloud accounting software was built to make sense to you. 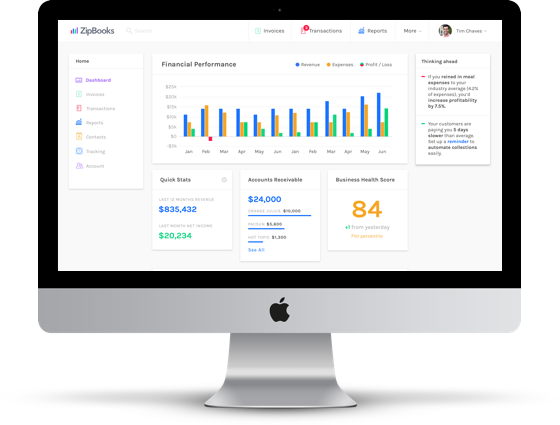 Enter the home page, and observe your cash flows with one glance at ZipBooks’ clear, interactive graphs. Then discover find where to file and send invoices—at the very top of the page. 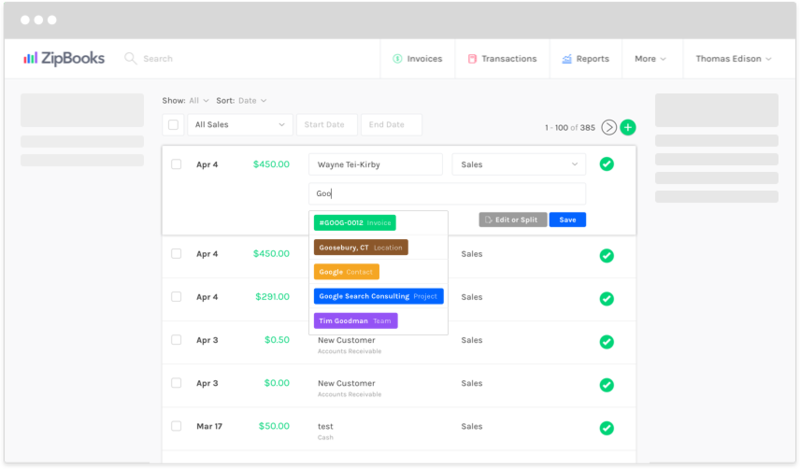 Navigate through our simple tabs for project management, time tracking, expense tracking, and storing estimates. And don’t worry, when it comes time to bill a client, gather any of the billing details you need right into your invoice. Our software was built by people who need a better software, for people who need a better software. Get your business up to speed with the latest invoicing technology. Save time and money by signing up for a free ZipBooks account today. You’ve definitely noticed that doing more from your phone speeds up, well, everything. Carry your ZipBooks account with you wherever you go. Access our sample invoice template from a browser or download our iPhone app. 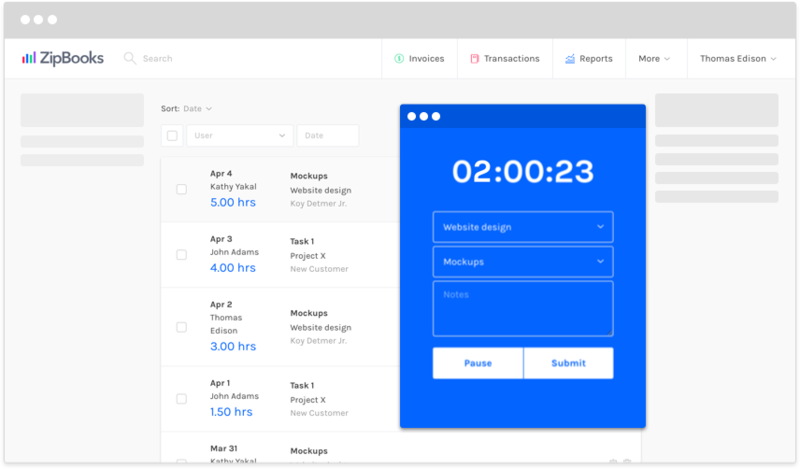 Send an invoice with the click of a button. 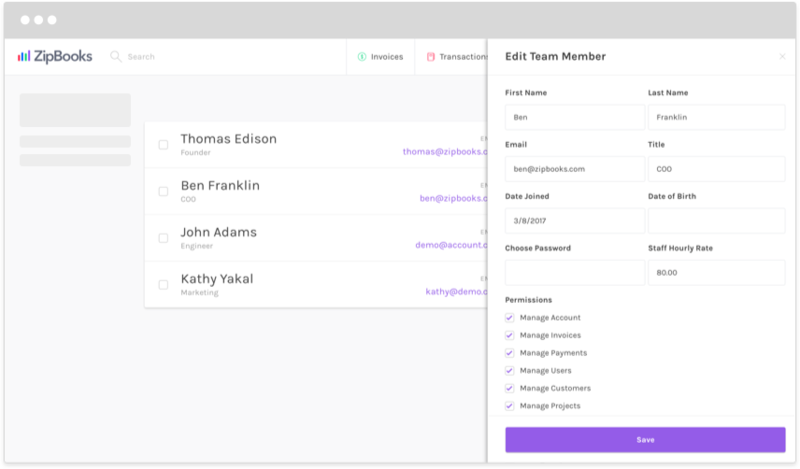 Even send a commercial invoice template while you’re still at a job site, or with a client. Consider asking, “When can I expect payment?” while with a client. Eliminate the need for awkward follow-up. You can’t afford delays, and besides, some of your clients are probably prepared to pay you sooner anyway. Set expectations and get organized so that you can get paid faster. 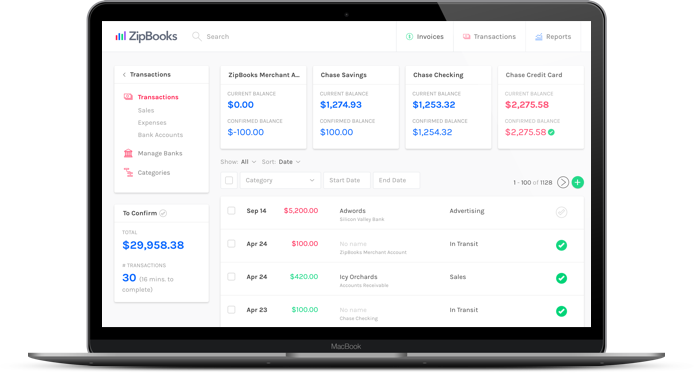 When it comes to getting paid, ZipBooks knows how to bring money to your account. Opt to receive payments in the form that is most convenient for you or your clientele. Experience the efficiency of receiving transactions quicker just because you offered the right payment option. Take care of your clients by invoicing them quickly and clearly from your ZipBooks account. Our useful payment options will speed up the billing and payment processes. ZipBooks, the free FreshBooks alternative, allows you to move far quicker than your competitors expect. Don't get left behind. Move your business to the cloud and access a commercial invoice template from anywhere securely. And with 256-bit SSL encryption, we've got your back. ZipBooks is all about getting you paid. Whether you use our financial partners to get you paid sooner, or speed up your invoicing process by signing up for our free software, you can get paid faster than you ever expected. It's important to get organized. It gets creditors, the IRS, and your employees off your back. Keep everything together in a ZipBooks account, and enjoy the freedom of organized transparency.